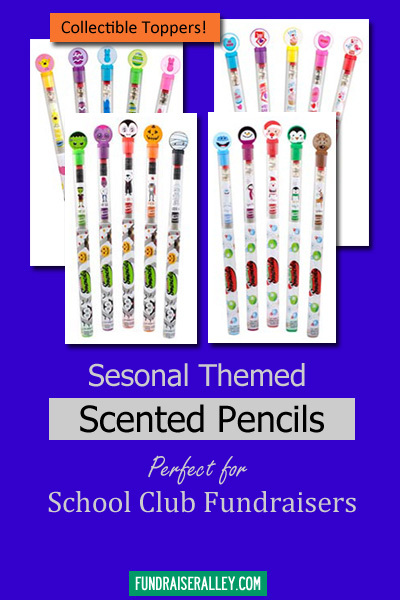 Seasonal themed Smencils are a fun fundraising choice for school clubs or groups, since the perfect place to sell pencils is at school. 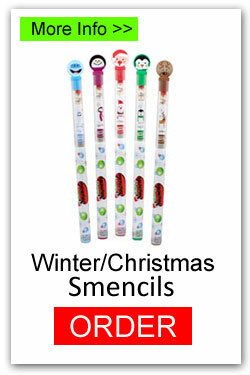 These pencils will make great small gifts (stocking stuffer, sweetheart memento, trick-or-treat, Easter basket treat). 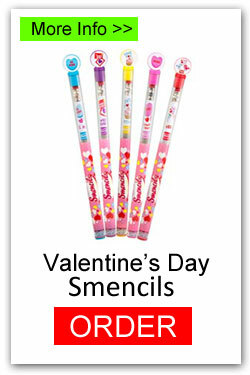 Each of these themed Smencils have a yummy scent and include a collectible topper. 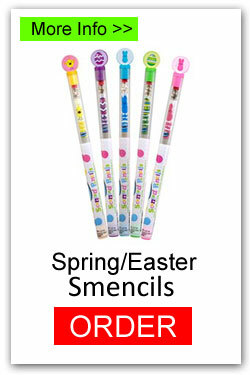 Smencils are scented pencils made of recycled newspaper wrapped around #2 graphite cores and soaked in gourmet scents. 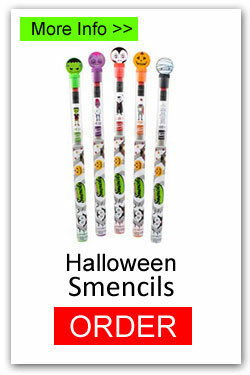 Each Holiday Smencil sells for only $1, earning a 40% profit. And, free shipping is a big plus. Each bucket has 50 pens, with 10 each of 5 scents. There are 10 buckets in 1 case and a 1 case minimum order. 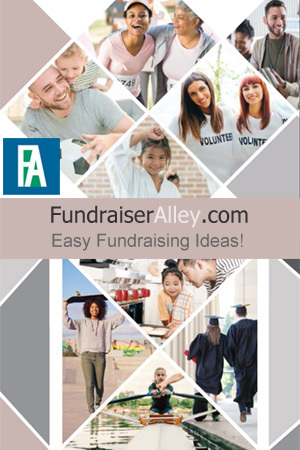 A unique idea for your holiday fundraising campaigns. Each bucket includes 10 each of 5 seasonal scents that will last for 2 years. Each season has different scents.